Investment in industry, innovation and infrastructure are crucial drivers for economic growth and sustainable development, both in modern states and the developing world. And in line with the UN’s Sustainable Development Goals (SDGs), the sports industry is becoming an increasingly important contributor to this global effort. Over the past few years, the struggle to attract host cities for mega sports events like the Olympic Games has been well publicised, and the negative economic impact of infrequently used, concrete stadiums often criticised. 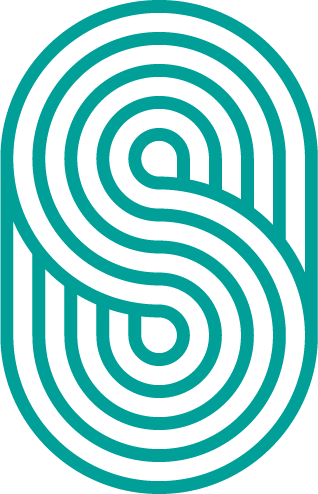 But now, venues, architects, urban planners, charities and event organisers are becoming wiser to the needs of the modern world, and designing and upgrading sporting infrastructure with a much longer-term view. A shining example of this approach in action lies in the most unlikely of places. Rwanda, the land-locked African country devastated by war and genocide in the 1990s, is now a vibrant, forward-thinking model for economic development, with sport forming a central part of its long-term strategy. In particular, the lack of pre-1994 tradition in cricket makes that sport an ideal vehicle for on-going reconciliation there and, recognising that, British charity Cricket Builds Hope (originally the Rwanda Cricket Stadium Foundation) set about raising around £1m for the construction of a new stadium to host the improving national team. 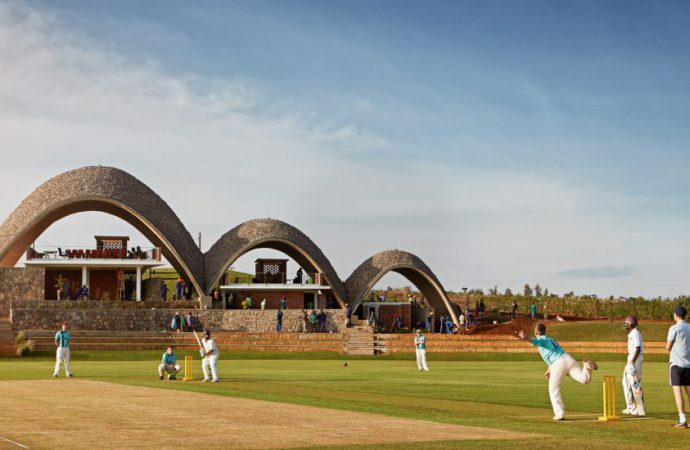 Situated a 30-minute drive from capital city Kigali, and the first in a series of infrastructural projects in an area designated for sports, the Gahanga Cricket Stadium was opened by President Paul Kagame in October 2017. The three-vault pavilion, which resembles a bouncing cricket ball as well as the rolling Rwandan hills that form its stunning backdrop, is a symbol not only of the country’s imbued sense of optimism, but also of what can be achieved when national policy is aligned with sustainable construction methods. Indeed, the entire project was embedded within the government’s Rwanda Vision 2020, which sets forth the country’s goal to transition from an agricultural to an industrial economy. Light Earth Designs, the architectural firm that specialises in renewable, locally made projects that are culturally appropriate for communities in the developing world, carried it out over a seven-year period – and the impact on the local area has been striking. “We tried to find a way to work with that transition of the economy by using local materials to the extents possible, and to try and empower local communities with new skills,” explains Dr Michael Ramage, a founding partner at Light Earth Designs, who also leads the Centre for Natural Material Innovation at the University of Cambridge. As well as providing a legacy for local industry – labour was predominantly sourced through the Vision 2020 Umurenge Programme, a government-led social protection programme aimed at the two poorest categories of the population – the venue is also supporting human wellbeing by promoting health, education and female empowerment. The pavilion, for example, will serve as an HIV testing centre for the community, while Cricket Builds Hope has since rolled out a programme designed to challenge gender stereotypes and gender-based violence in Rwanda through cricket. In 2018, more than 400 women aged 15-25 were taught leadership and financial literacy skills as part of the programme, alongside the basics of how to bat and bowl. Sustainable venues in the mould of the Gahanga Cricket Stadium can also help raise awareness of a country and its problems and needs, boosting tourism and investment. The captain of the Rwandan men’s cricket team, Eric Dusingizimana, is facilities manager of the complex, and doubles up as a tour guide when increasing numbers of visitors take in the stadium en route to seeing the fabled Rwandan gorillas further in-land. While the building is uniquely Rwandan, many elements of the project can be applied to other contexts. Notably, the stadium has been built using earthquake-resilient geogrid technologies – which are also cheaper and easier to transport than steel alternatives – due to Rwanda’s status as a moderate seismic zone. But it’s not just in the developing world that sport is having an impact on industry and infrastructure. In Europe, sustainability leaders are finding new ways to ensure that large, multi-purpose stadiums are serving their clubs and wider communities not only once a week, but all year-round. With over half of the world’s population now living in cities and consuming more and more electricity, one area of growing urgency to the sports industry is renewable energy. 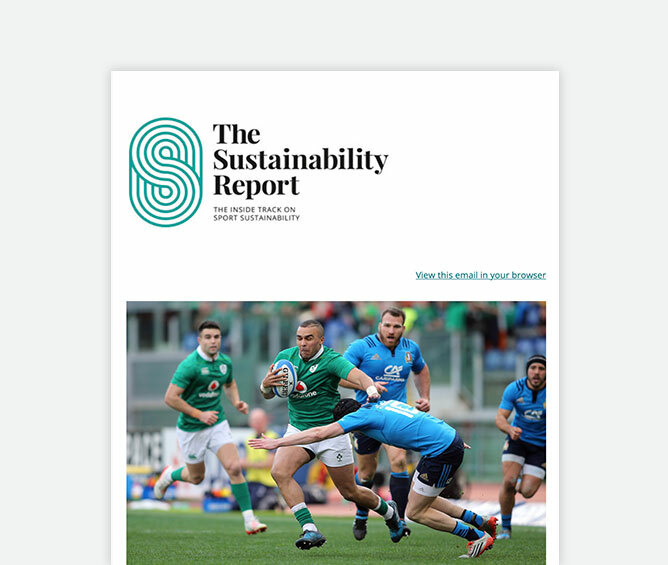 And in a recent development, some high-profile football clubs have re-evaluated their sustainability objectives in order to embrace this shift. Last November, Arsenal FC became the first Premier League club to install a battery storage system, which is set to provide revenue for the club and renewable energy for the region, while supporting the UK’s climate goals. The new battery is being charged from electricity supplied by Octopus Energy (and generated from solar power) and was designed by Pivot Power, a company that is working to accelerate the UK’s move towards to a lower carbon economy. “In very simple terms, the battery in the Emirates Stadium is the same type of battery as in a mobile phone,” Pivot Power’s director of business development, Edward Sargent, tells The Sustainability Report. “It’s a lithium-ion battery that can be charged up with electricity and then will release that electricity when it is called for. Unpredictable weather previously presented a barrier to the adoption of renewable energy in the UK due to the lack of guarantee that sustainable sources of energy, such as solar and wind, will be available during peak demand. But battery storage removes this barrier by storing electricity for when it’s most needed, reducing the use of diesel and gas ‘peaking plants’, and providing a revenue opportunity for stakeholders through the sale of electricity to the National Grid for frequency balancing. Meanwhile in the Netherlands, the Johan Cruiyff ArenA – home to AFC Ajax and the Dutch national team, which welcomes more than two million fans each year to matches, concerts and other events – has been operating a similar system that predates Arsenal’s by four months, and which provides a safe back-up store of energy for the stadium in case of an outage. This system reuses battery packs provided by Nissan, thereby contributing to the circular economy for electric car batteries. But more importantly, and like its London equivalent, it provides a more efficient and sustainable energy ecosystem for the stadium and its neighbours, reducing the use of fossil fuel-burning generators. The impact of having this kind of system connected to the Dutch electrical grid, so that it can trade in the batteries’ available storage capacity to help balance rising energy demands in Amsterdam, is “really huge” according to the ArenA’s Director of Innovation, Henk van Raan. “If we use this battery and it’s connected to the grid, then the grid operator can shut down and dismantle the coal powerhouses – so that now, the coal powerhouses are producing energy for just a few minutes per day,” he explains. The system has a storage capacity of 2.8-megawatt hour – enough power to fully charge 500,000 smartphones – and with a lifecycle of more than ten years, it will save 116,693 tonnes of CO2, providing benefits across the region and furthering the Netherlands’ low carbon ambitions. The arena also has 4,200 solar panels on its roof that can feed power to the battery system in the rack below, and is installing more and more bi-directional vehicle chargers in the car-park in anticipation of a popularity boom in electric cars. From East Africa to western Europe, sports venues are implementing new, innovative ideas to stimulate development in their local communities and align with a broader vision put forward by their city or country. And with sustainable blueprints like these for inspiration, the promotion of industry can only be expected to become a bigger priority – with more tangible results – in future sporting infrastructure projects across the globe. How else can sports venues promote economic development, energy efficiency and human wellbeing in their surrounding communities? Which other sports venues are doing a particularly good job in this regard? Let us know in the comments below.